When thinking about local search listings most people think of the Yahoo!, Bing and of course, Google. Other well-known listings may also come to mind: Yellowpages or Superpages, but marketers should not discount the smaller players in the market. Many of these smaller local search sites offer valuable resources that you may not find in some of the larger, such as reviews, recommendations, photos, and promotion features. Even more important, however, listing your business in all local search directories makes it easier for your customers to find information on your business, which is critical to not only driving more traffic to your web site, but also generating more phone calls and delivering more customers thru the door. Keep your listings updated – double check listings that are already in directories. It can be more harmful to your business to have wrong/incomplete contact information than no listing at all. Keep your listings consistent – customers often perform multiple searches when researching a product or service. Inconsistent information not only confuses customers, but also reduces credibility. Include keywords in descriptions and categories – most searches on local listings directories are keyword based, so use effective keywords in your description to ensure that your listing shows up in search results. Remember that most local listings are free – by not listing your business you are missing out on free, targeted traffic in your area. Yellow Page City: Yellowpages may be the primary go-to when searching for a business, but Yellow Page City also draws in a decent amount of traffic, offering your basic business listing. 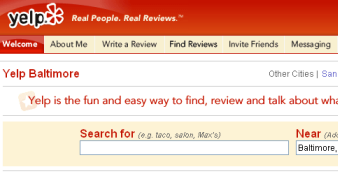 Yelp: While several other local search sites offer the option to review a business, Yelp is probably your best bet for actually getting reviews. It is rapidly becoming one of top websites for business reviews. 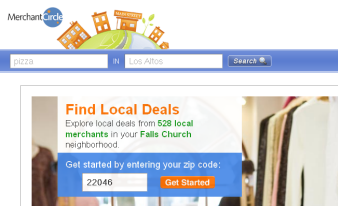 Do you have any other websites, resources, or tips for improving your local search listings? If so, feel free to share them in a comment!